We’ll get to know you and talk about what your vision and style are. We tailor the overall look to you! We group our recommendations by category. Once we complete the paperwork, we will officially book your spot. At this point, we’re all set until we’re closer to the wedding! We have office hours of 9-5 M-F.
One month before the wedding, we will meet to go over and confirm all the details. We prep all the vases and candles and process your flowers as we prepare for your event. We plan the timing of our delivery and set up to ensure the freshest flowers. We have made sure no flower is amiss and afterwards, we handle the tear down. We blend your requested centerpiece blooms with in-season secondary bouquets. We love both neutral palettes, but we’re never afraid of pops of deep, saturated color. We combine a variety of arrangement heights to play up your tablescapes. Every wedding is one-of-a-kind, with abundant flowers and distinct vessels. Natalia's work is absolutely immaculate! 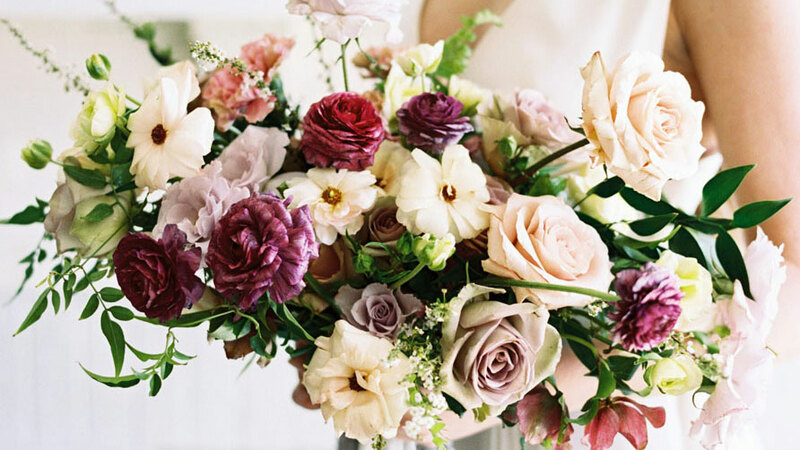 Whatever your style or what's in season, we will source only the best flowers & designs for you!